Dear Jane Quilts: Here We Come! At the store, we started a Dear Jane class. Although we had only six people register, we all became dedicated Janiacs, and we are enjoying every minute of it. I, in particular, took off with those little cute blocks and I am making, or trying to make, two of each in different colorways to make them the same but to look different. I’ve made quite a few but not nearly all of them. Anywho, we dicided that it would be fun for all of us to go to the Shelburne Museum to see Dear Jane up close and personal. A two day trip to Vermont in the Fall would be fun anyway. Tell you all a bout it when I get back! 2009 Challege Quilt "All On Time"
We had a Challenge Quilt. I will be posting a couple of entries a day. At the end of the postings I will create a poll. Being that this is a combination of in-store and online voting we will combine the two votes to come up with the winner. The winner get’s a cash prize, all the glory and media interviews! The quilt needed to have two fabrics (I will post them soon), finished back and front with quilt batting and binding and can’t be more than 24 by 24 inches. 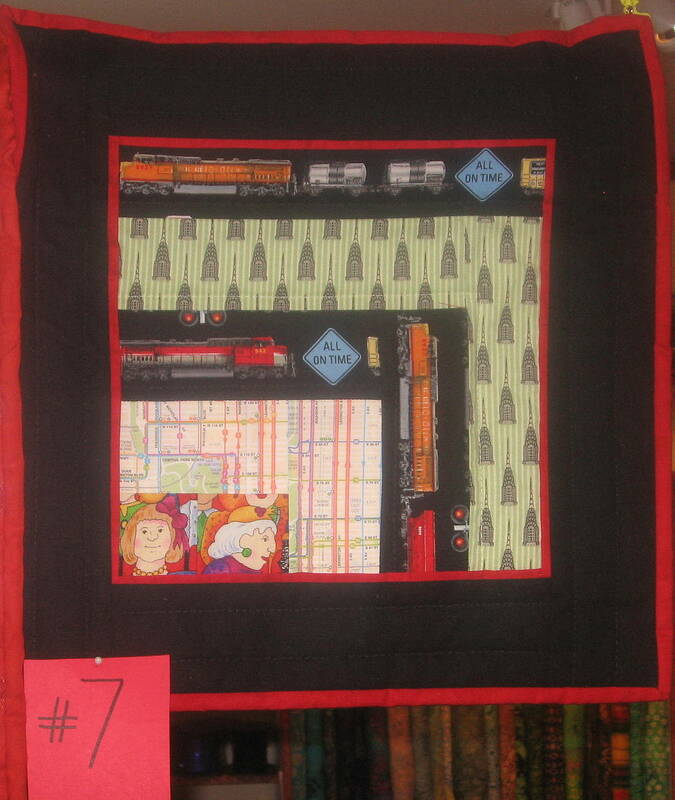 One of the fabrics was a subway map and the other fabric had lots of people on it, hence the NYC connection. I will also post the explanations from the contestants. This is a quilt made by a student here (at Sew Materialistic), Chava. 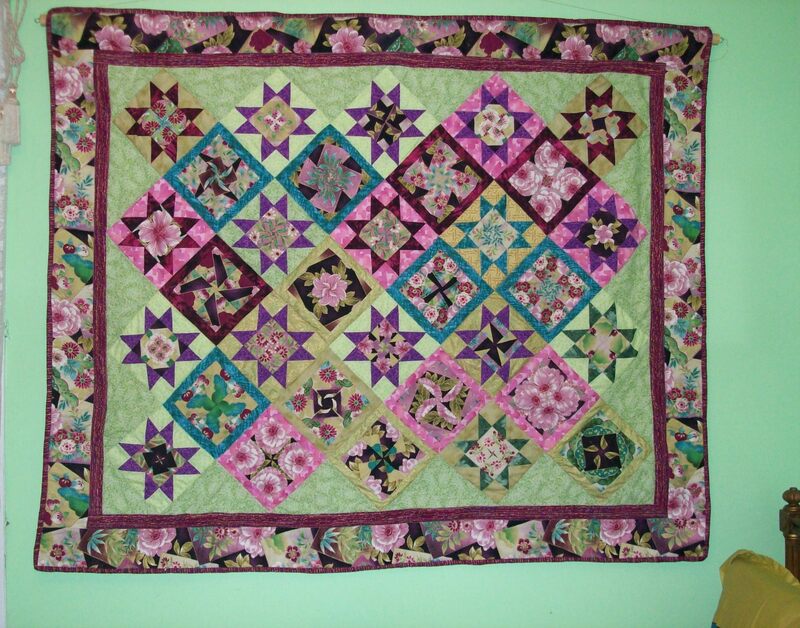 This was her first quilt. She said “It’s a lot of fun and I love quilting”. The pattern is Kensington Kaleidoscope.